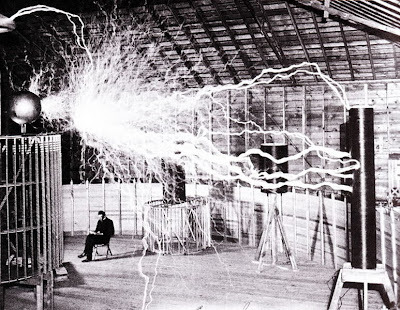 A publicity photo of Nikola Tesla sitting in his laboratory in Colorado Springs in December 1899. The photo was taken by Dickenson V. Alley, photographer at the Century Magazines. The laboratory was built in 1899. 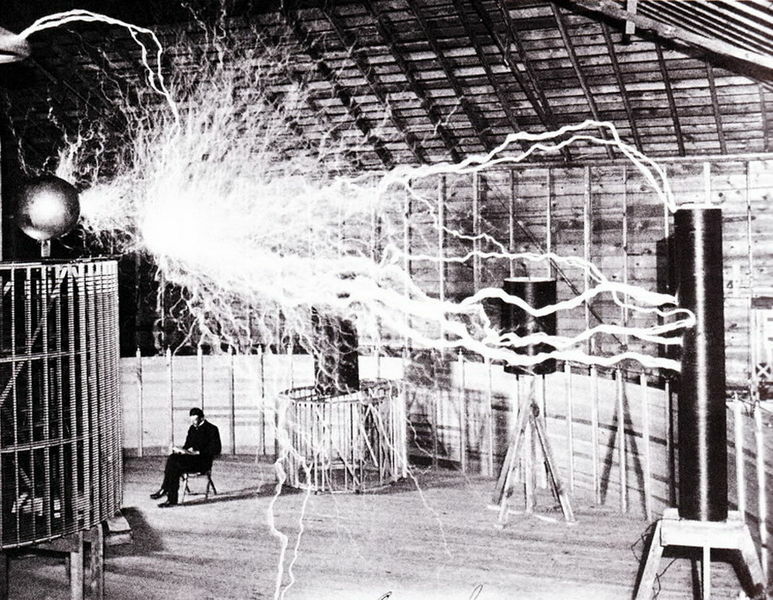 Tesla sent a copy of this photograph to Sir William Crookes in England in 1901. The photo is cited as a double exposure by Carl Willis and Marc Seifer. Tesla's Colorado Springs notes also identify the photo as a double exposure. To give an idea of the magnitude of the discharge the experimenter is sitting slightly behind the "extra coil." I did not like this idea but some people find such photographs interesting. Of course, the discharge was not playing when the experimenter was photographed, as might be imagined. Americans Are Still Waiting for the "Perp Walks"
The Rolling Stones "Under My Thumb"